THE Federal Government's mobile service centre will make another trip to the Derwent Valley next week, stopping at New Norfolk, Ellendale and Hamilton. 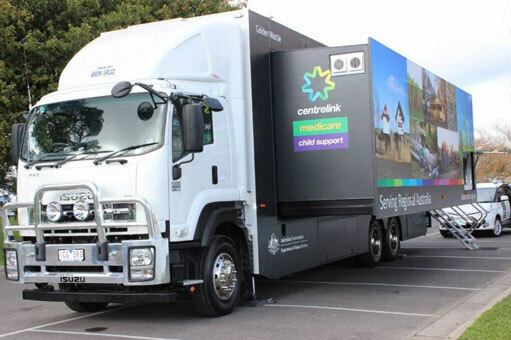 This large truck with a "pop out" office travels through rural and regional communities to provide personalised face-to-face access to information and services. Staff on board the mobile service centres can provide information, assistance and support to older people, families, students, jobseekers, people with disability, carers, farmers and the self-employed. “I encourage local residents to come along and visit the Mobile Service Centre while it is in your area,” the Federal Member for Lyons, Eric Hutchinson said. For itineraries and more information visit www.humanservices.gov.au/mobileoffice or call 13 23 16.